At this point in the school year, you may be transitioning from the happy chaos of back to school to a new, well-earned order and flow. Perhaps just this week you called your class from the outer regions of your room to gather on the rug, and you watched them each arrive, one by one, and take their spots. That moment will never get old. It may also be that by now your students are ready to take, or have already taken, the i-Ready Diagnostic, and you are eager to use the results to support each child’s growth in Reading and/or Mathematics. In order to ensure that your kindergartners get the most out of i-Ready, we’ve outlined some useful tips to help you serve the wide range of abilities in your class. For those kindergartners who need additional support before beginning i-Ready lessons, we have provided developmental activities focused on reading, mathematics, and social-emotional skills that are fun and easy to plan. View the class Diagnostic Results report. Once children have taken the Diagnostic, you can access their results from the “Reports” tab within i-Ready. 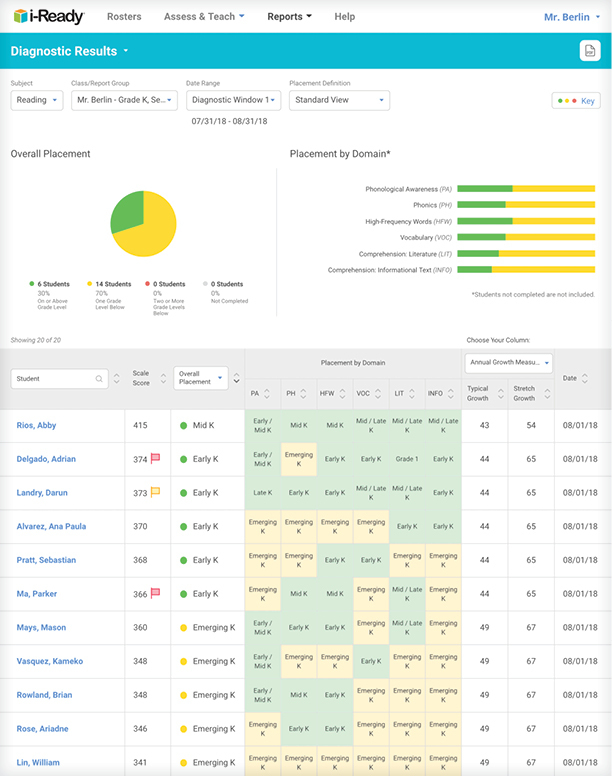 Start by looking at the class Diagnostic Results report for reading or mathematics to see how each child in your class placed. The report is color-coded, which makes it easy to see who is on grade level (green) and who is below grade level (yellow and red). Make sure to look at this report for each subject. 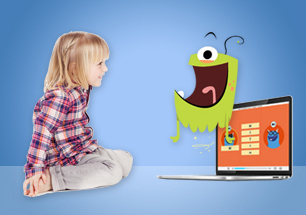 i-Ready automatically places children who are on (or above) grade level into their own personalized lesson paths. 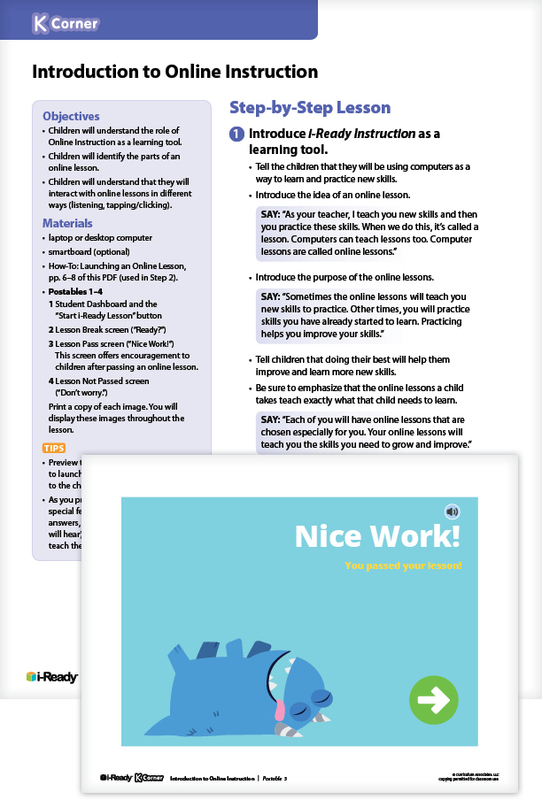 Before you allow these children to proceed with their online lessons, however, you will want to familiarize them with how i-Ready Online Instruction works. Proceed to Step 4 (skip Steps 2 and 3). Some children will place below Kindergarten level, or at what we call Emerging K. With these children, we recommend that you take a different approach to getting them started in the online lessons. Proceed to Step 2. Focus on classroom instruction for Emerging K children. It is likely that some children will place at Emerging K. We recommend spending the first three months of the Kindergarten school year on teacher-led instruction guided by the i-Ready Diagnostic data and resources listed below. Your classroom observations are a critical source of information about what children know and are able to do—and what kind of instructional support they need—so when you determine a child is ready, you can introduce i-Ready Online Instruction using the lesson in Step 4. 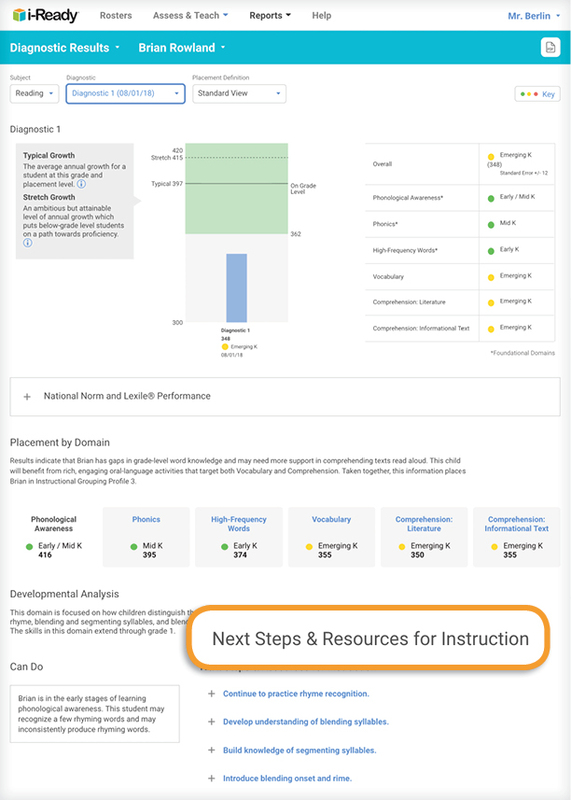 In each child’s Diagnostic Results report (in the “Reports” tab) click on the domain-specific tabs to see the “Next Steps & Resources for Instruction” section, as pictured on the right side of the report. In the Instructional Groupings report (in the “Reports” tab), review the instructional priorities for each group. Click on the hyperlinked groupings to see the instructional priorities and recommendations for teacher-led instruction for each group. Both the class Diagnostic Results and class Instructional Groupings reports contain corresponding Tools for Instruction—best-practice lessons you can use to teach skills individually or in small groups. You can download these lessons as PDFs directly from the reports. You can also use our BRIGANCE® Readiness Activities to support your instruction for those children who have placed at Emerging K. Proceed to Step 3. 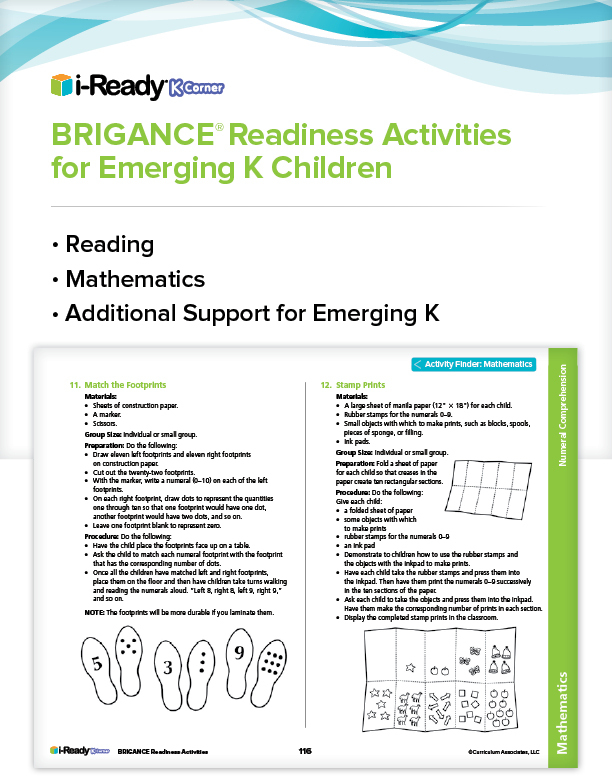 Use BRIGANCE Readiness Activities for Emerging K Children. The BRIGANCE Readiness Activities for Emerging K Children are fun and easy-to-use materials that build Kindergarten readiness in reading, mathematics, and social-emotional development. Each skill that is listed in the “Next Steps & Resources for Instruction” section of i-Ready‘s student Diagnostic Results report corresponds to a specific, targeted BRIGANCE activity. 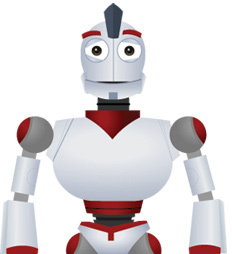 Introduce the i-Ready Online Instruction lessons. i-Ready provides personalized learning for every Kindergarten child by offering targeted instruction and practice that complements your classroom instruction. This lesson will help you prepare all kindergartners to be ready to use i-Ready Online Instruction. Your children will learn about the role of i-Ready as a learning tool. They will learn about each part of an online lesson and the computer skills they will need to interact with online lessons. Taking time to teach children to log in for themselves will build their independence. Use these “road-tested” tips from other educators to teach children how to log in on their own each time they use i-Ready. Because using a username and password can be challenging for our youngest learners, we provide an alternative login method to save time and simplify logging in. We call this the “K–1 Card” login. 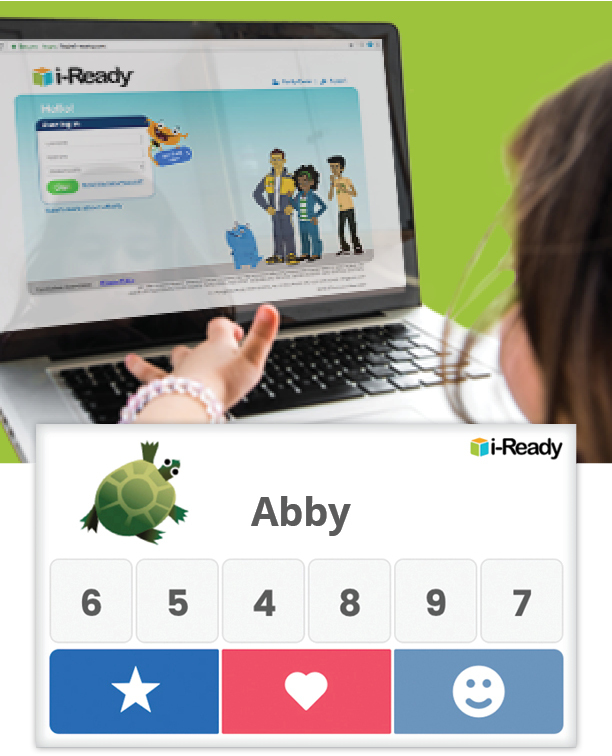 Once it’s enabled by the administrator who manages your i-Ready account, teachers use a button on their dashboard to print out and distribute K–1 cards to each student in class. Contact your Account Manager or read the K–1 Login Overview for more information. FAQ: How do I use the K–1 Login Cards?